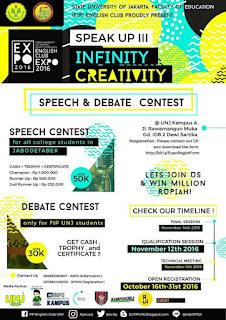 "EXPO 2016 SPEAK UP III : Infinity Creativity"
The competition that you've been waiting for is officially back! ▫Competition experience and meet with new people from different University. So what are you waiting for? Unleash your potential and lets join! 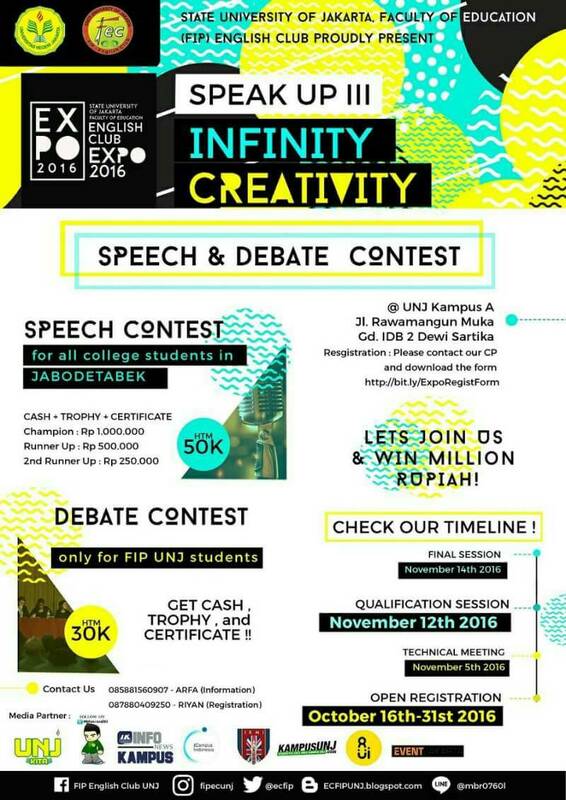 Belum ada Komentar untuk "EXPO 2016 SPEAK UP III : Infinity Creativity"